Intel Bluetooth Driver for Windows 7. Download Easily! Use one of the ways here to update the Intel bluetooth driver for Windows 7. You can’t connect your bluetooth device successfully to your Windows 7 computer, then you want to download and update the Intel bluetooth driver to fix the problem, right? In this post, I’ll show you three ways to download and update the latest bluetooth driver. You don’t have to try them all. Just work your way down at the top of the list until you find the one that works for you. If you prefer to manually download the bluetooth driver, I’ll recommend you to download the driver from the computer manufacturer. After Intel releases the latest version of the driver, some computer manufacturers will get the driver. Then they might have customized the driver to make it work best with their machine. So downloading the driver from the computer manufacturer will ensure the best performance of the driver. To download the correct version bluetooth driver, you need to know these two things: your PC mother, the specific version of Windows. If you’re using a built computer or your computer manufacturer doesn’t provide Intel driver on their website, move on and use Way 2 or Way 3. You can download the generic Intel driver from Intel. Just to go to the Driver Download Center and download the correct driver for your Windows version. To download the correct version Intel bluetooth driver from Intel, you need to know what specific Windows version your computer is running. 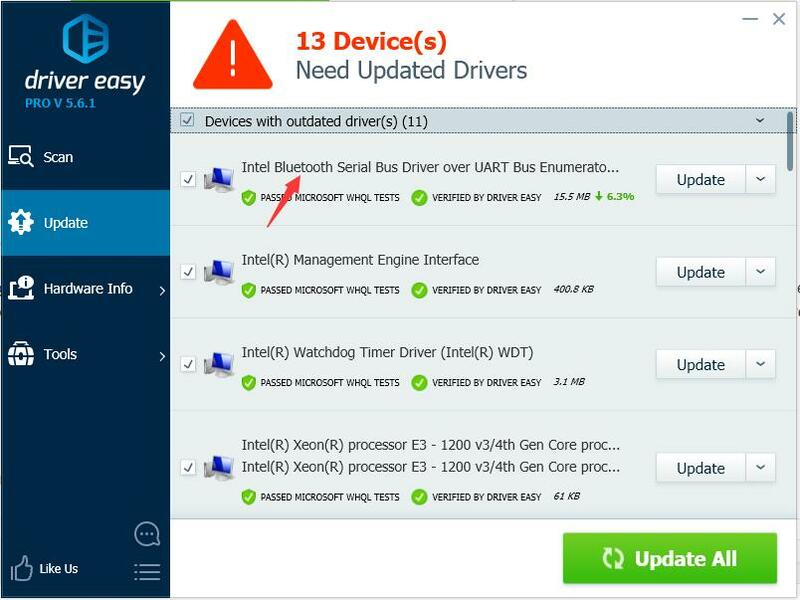 If you don’t have the time, patience or computer skills to update the driver manually, you can do it automatically with Driver Easy. 3) Click the Update button next to a flagged bluetooth driver to automatically download and install the correct version of this driver (you can do this with the FREE version). Or click Update All to automatically download and install the correct version of all the drivers that are missing or out of date on your system (this requires the Pro version – you’ll be prompted to upgrade when you click Update All). 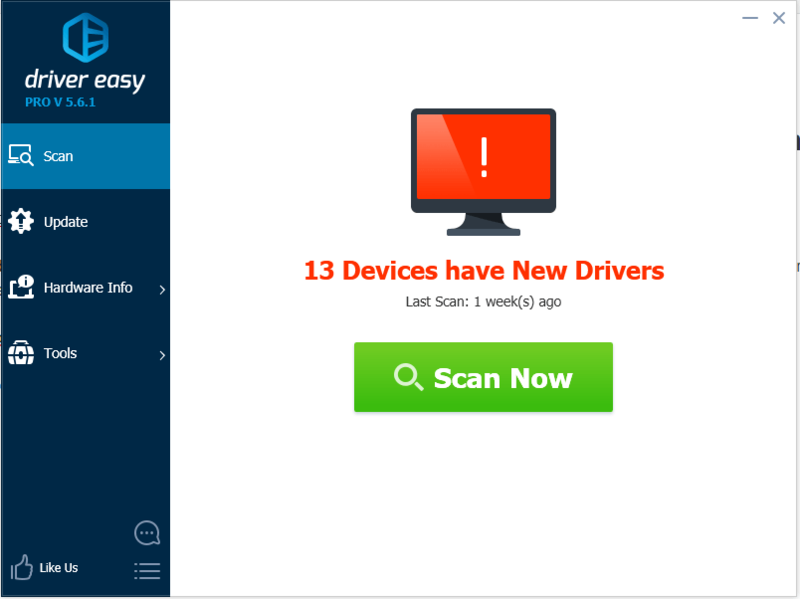 Hope you update the driver easily with one of the methods above. Please feel free to leave your comment below if you have any questions.